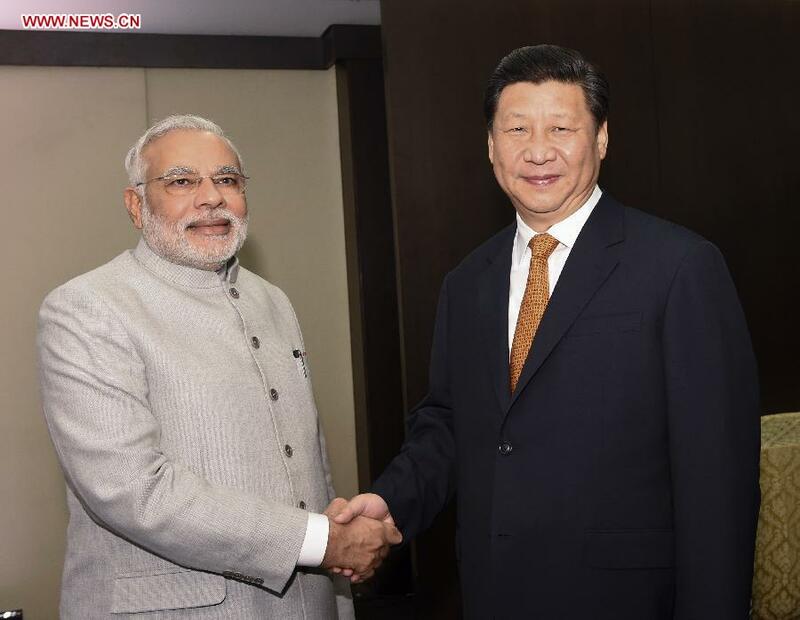 Chinese President Xi Jinping has met with Indian Prime Minister Narendra Modi ahead of the BRICS summit in Brazil. Modi has told Xi Jinping that his administration is looking forward to an impending state visit by the Chinese president to India in the near future. At the same time, Modi also says he's ready to visit China. Xi Jinping has told Modi China welcomes India in joining the proposed Asia Infrastructure Investment Bank as a founding member. Both leaders are also promising to cooperate in various fields, as well as settle their border issues through friendly negotiations.